The free-flowing Crystal River is the largest tributary of the Roaring Fork River, and was recently named as one of America’s Most Endangered Rivers by American Rivers. The Crystal provides habitat for fish and wildlife and is an economic driver for the local tourism economy. It is home to native fish and rare bird and plant species. Because of these unique values, the Crystal River is eligible for federal Wild and Scenic River designation. Coal Creek, which flows into the Crystal near Redstone, has been impacted by 50 years of coal mining operations. 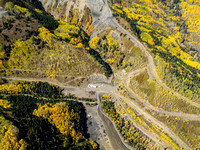 This has resulted in extremely unstable, steep slopes, exposed mining tailings, causing erosion, pollution, sedimentation and stream health issues for the watershed. In the late 1990’s and early 2000’s the state completed some restoration work, but wasn’t able to finish completely restoring the area. 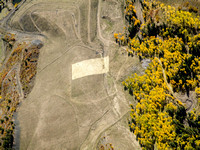 In 2012 the Roaring Fork Conservancy, working with government entities and the conservation community, started restoration work on the remaining part of the watershed. The Conservancy is working on a pilot project which involves road restoration, sediment catching and soil restoration. Biochar will be added to topsoil to facilitate vegetation. The project will yield important information on the efficacy and utility of biochar (which can be produced from beetle-killed timber) as a soil amendment. This is particularly significant, given the growing interest in biochar as a multipurpose reclamation material and the need for long-term field studies. This part of the project may also have economic implications - looking at the possible need for increased and local biochar production capabilities in Colorado to make landscape-scale applications feasible. The use of biochar for road reclamation will also provide the ancillary benefit of carbon sequestration – addressing an issue of importance for the entire planet.